Cancer patients in Sydney and Newcastle are currently being screened for potential participation in Australia’s first clinical trial of vaporised medical cannabis flower bud. Approximately 30 adult advanced cancer patients at a number of hospitals will be involved initially, and the program could expand to up to 250 patients across New South Wales under a double-blind randomised controlled trial. Only patients over the age of 18 with advanced cancer and who meet the stringent criteria will be considered for participation. The aim of the trial is to develop a better understanding of how medicinal marijuana may provide relief to adult cancer patients in the final stages their lives. “The NSW Government has forged a path for finding much-needed answers about whether there is an effective use for medicinal cannabis in palliative care, with the aim of expanding existing treatments to better support our patients,” said New South Wales Minister for Medical Research, Pru Goward. Participants will consume varying doses of vaporised cannabis flower bud (Bedrobinol 13.5% THC) an hour before meals three times a day for a period of seven days, unless there are side effects. Blood samples of participants will be taken to monitor THC concentration throughout the period. Patients will also complete various questionnaires and complete a daily food record. 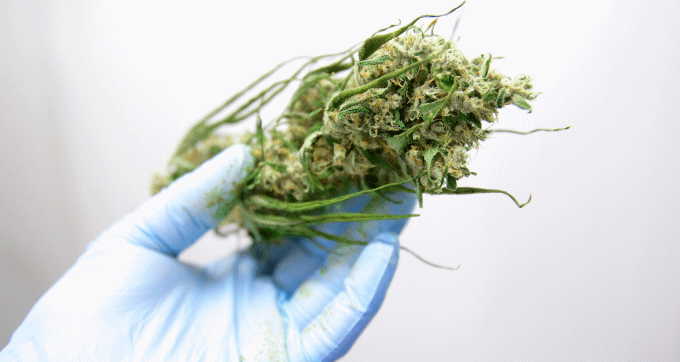 The product to be used for the trial is from Bedrocan BV, a Dutch company. Bedrocan claims to be the only licensed company in Europe to grow cannabis for medicinal use by patients. The company has produced medical cannabis under contract for the Dutch Ministry of Health since 2003. Further details on the palliative care vaping trial can be viewed here. Back in January, we mentioned a study that concluded electronic vaporizing equipment appears to provide a safer and more effective delivery method for medical marijuana use compared to smoking it. Vaporising, or “vaping”, involves heating plant or other material to a temperature where the cannabinoids are released, but without the material combusting. This latest trial follows another recently to reach the recruiting stage in New South Wales. That trial, another world-first, is in relation to the prevention of chemotherapy-induced nausea and vomiting. It involves a capsule medicine containing equal parts of tetrahydrocannabinol (THC) and cannabidiol (CBD).